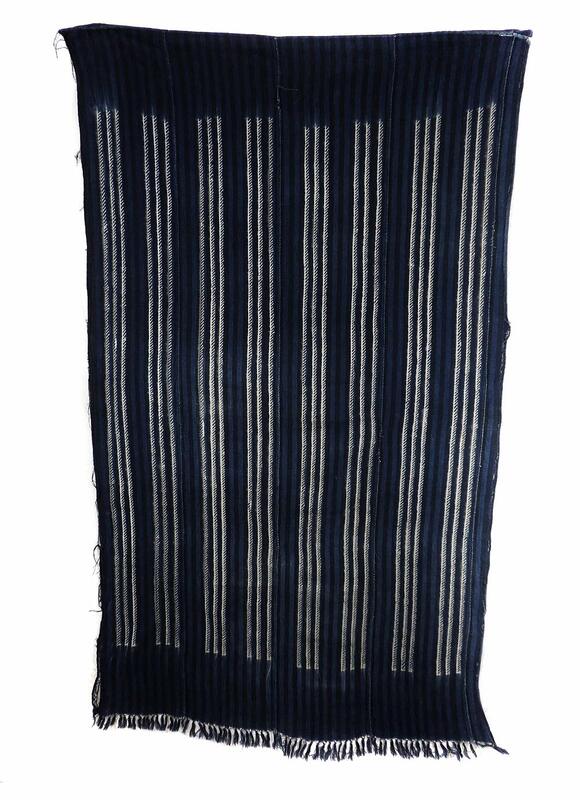 Additional information: Possibly the most recognizable form of indigo cloth from West Africa, this adire oniko textile was made by tying the cotton textile tightly in order to resist the dye in certain parts. 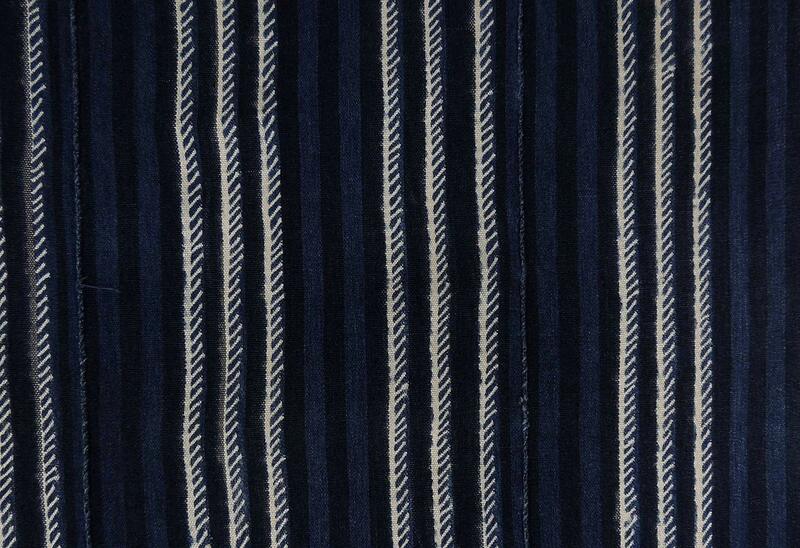 The patterns are unmistakable and are attributed to the Yoruba of Nigeria. Indigo dyes can be made from local plants in West Africa, using the leaves or seeds of the indigofera or lonchocarpus plants. But more recently, synthetic dyes are also available.